Look, not everyone looks at technology the same way. If you're a bargain hunter that is purposefully late to the party while companies work out the bugs in their products, we salute you. This is a good way to really make sure that you’re going to enjoy a new piece of technology. it would be better to look at all of these things rather than just say that you're going to get something brand new that isn't really want you're seeking. After all, not everybody in the world of tech has money to blow without reason. If you're in that category right now, we completely understand what you're going through. So let's dig in. The Nexus line isn't really known for being more than developer candy, in many ways, but that's changing. Google has been hard at work thinking about the tablets in a different way, and this new push has also made the Nexus 4 into something that might just be worth having. Google has also made the price point very attractive, something that doesn't hurt matters either. On overview, this is a device that has a nice 4.7 inch HD display, along with a 1.5Ghz Snapdragon S4 Pro processor. There are also plenty of other components on here, but you’re going to really need to make sure that you dive in and see what's waiting for you. If you find what you're looking for at $299 no-contract, then why wouldn't you want to see what else is in store? So, let's start with hardware. You're getting a smartphone that weights 4.9 ounces and 0.36 inches. It's lighter than the Optimus G, but it's a bit thicker. It's easier to hold in your hand thanks to the tapered edge that gives your fingers a real place to actually rest. Very cool! The display includes a full panel of Gorilla Glass 2, which means that this is one tough phone already. It's very likely that you'll drop your phone at least once, and this protective glass should keep it looking good for a long time. There's a front-facing video camera, but it's only 1.3 megapixels. There's a notification light on the front as well, but no buttons -- it's all about virtual navigation here, baby. There's also a 1.5Ghz Snapdragon S4 Pro processor and 2GB worth of internal RAM storage. There's also a 2100 mAh battery, which provides modest battery life. The volume rocker hides on the left, and there's a secondary mic and headphone jack that sit on the top of the phone. There's the power button right in reach as well. There's a micro-USB / Slimport socket on the bottom. Slimport allows you to mirror your phone's display on your TV, but it's not the only way to do it. Scratch resistant doesn't mean that it's unbreakable. Give your sanity a Christmas present by not dropping this phone. Trust us, it just makes sense. Summer is in the air and like many other individuals; you may be due for an upgrade this summer. If you’re planning on getting an Android, we congratulate you. Excellent choice! However, if you can’t decide which phone to get, read our top five list. It may just help you make an informed decision. 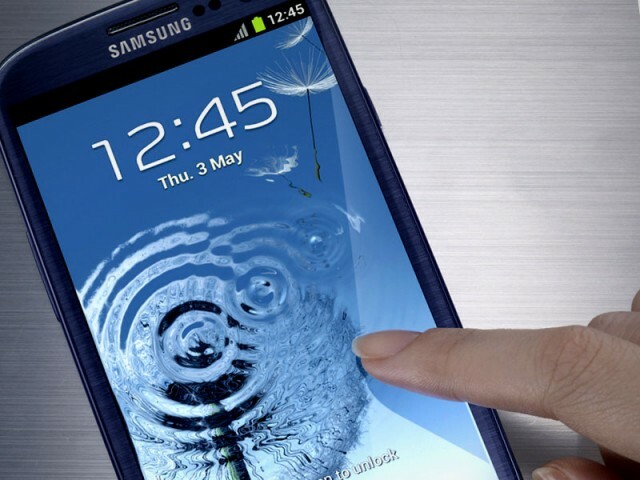 At the top of our list is the Samsung Galaxy S III (GS3). It’s the third generation from Samsung’s flagship line of phones and the best thing about this device is it is available on all the major U.S carriers (Verizon, AT&T, Sprint and T-Mobile). Better yet, it’s available in Europe, Asia, Africa, Canada and South and Central America (sorry Antarctica). 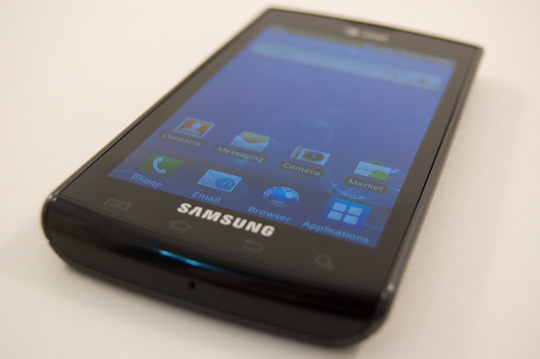 You really cannot go wrong with the Galaxy S III. It has a great camera, comes with the latest version of Android, dual or quad core processors (depending on region), and for those living in the United States or South Korea, LTE is on board. It was a tossup between this and the GS3 for the top spot but the GS3 took the prize thanks to its worldwide availability and multi carrier support. 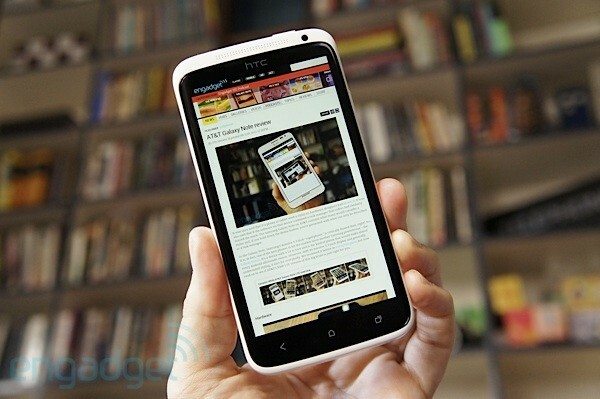 The HTC One X is another great choice as well. We rather the design of the One X over the GSIII mainly because of its unibody design. It also has dual or quad core CPU as well as LTE depending on your geographical location. Best of all it comes with one of the best Android UI skins we have seen. Our only drawback is the battery life of the One X is not as great as the GS3. 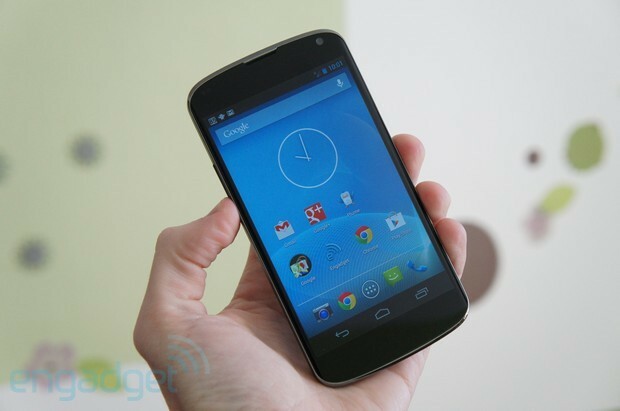 The Google Nexus S is one of the newest phones to hit the market, and it definitely shows. The criticisms about the Android series of phones are hardly present when you really look at the specs on the Nexus S. For example, you have a phone here with a battery life of about 428 hours in standby mode, and 6 hours of talk time. That’s pretty lengthy compared to say, the BlackBerry Bold or even the new Torch. 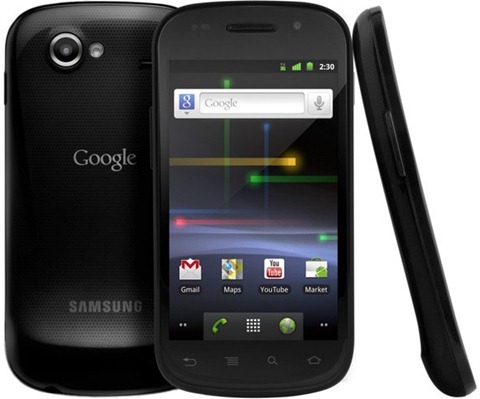 There's a lot of power in the Google Nexus S, and you only need to look at the process and memory to see what's up. Indeed, this phone has a great set of processor and memory chops, from the 1Ghz Cortex A8 processor. From the memory side of things, you have a 16GB flash memory onboard, which gives you plenty of room for just about everything you can think of. Now, you don't have external memory capabilities, but the 16GB should give you everything that you need -- really. The screen is really where the Nexus S shines through. You have a 4" WVGA screen with 480x800 resolution -- not too shabby. Add in the fact that you have Super AMOLED on your side, and you can rest assured that you'll be able to watch plenty of movies -- you can even turn the screen into landscape mode to watch your videos in style. After all, you do have 16GB to use as you see fit! It's a touchscreen to the core, which might please some fans and turn away others. If you haven't had a touchscreen before, try this phone before you decide the touchscreen format just isn't your cup of tea, okay? You just might like it! 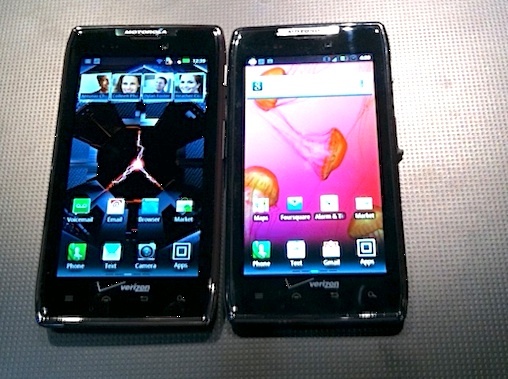 The form is more or less the standard smartphone -- thin, flat, squished candybar style. It's wide -- 63mm x 123.9mm x 10.88mm, but it's definitely light at just 129g. This means that if you're worried about breaking it, you might want to make sure that you actually keep it close to you on a belt or in a holster. If there's one thing that smartphone fans demand, it’s a great camera. One of the things that the Nexus S tried to do was have not only one camera, but two cameras. There's a back-facing camera to take pictures of just about everything the world has to offer. There's also a front facing camera for those self portraits that everyone likes to post on Facebook. It's so much easier to capture that stuff with the front-facing camera. If you thought that you wouldn't get video recording, you might want to think again -- you actually have plenty of video recording power to play with. The cameras boast flash and auto focus, meaning that you actually might be able to take some good pictures! There is definitely an audience for this phone, and you shouldn't feel bad if you don't fit into that audience. It's really hard to look at a phone and think "Oh yeah, I want that" if it doesn't meet your needs 100%. 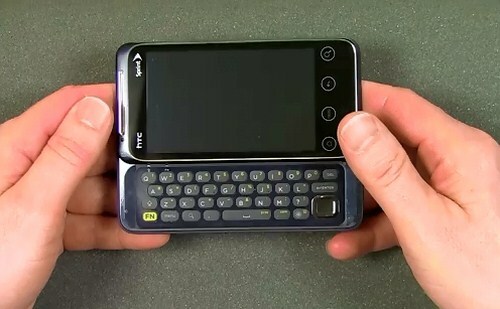 This was a phone that had a huge hype, and a lot of people feel that the hype just doesn’t match the phone. Early reviews were quick to point out the lack of expandable memory. An SD card might have saved the day, but the Google team decided to skip over it. This is going to be a phone that's hot with the teen set and other people that are new to touchscreens. If you're thinking about this phone because you want to get in to the Android craze, you are in good company. It wouldn't be a bad phone for that purpose, as long as you realize the high and low points of the phone. Overall, we like the Google Nexus S, but we think that a few firmware updates and maybe an overall hardware update to accommodate expandable memory might be just what the doctor ordered!